-USED TO FIX WIFI DROP ISSUES !!! 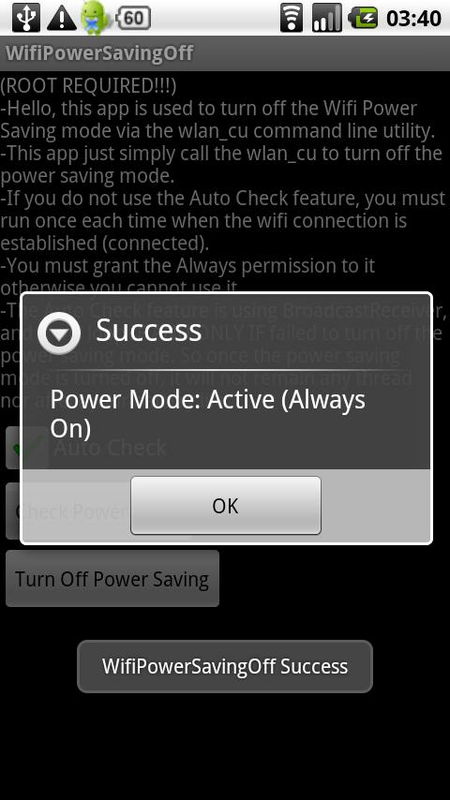 -Auto detect of su location. -Settings for manually specify su location. 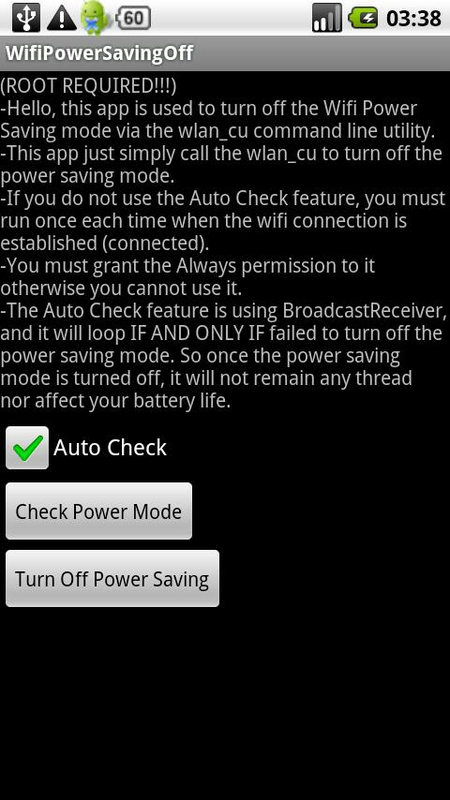 This app is used to FIX THE WIFI DROP ISSUE by turning off the Wifi Power Saving mode via the wlan_cu command. TinyTorch app is to display the screen in any color. Search and view Bible passages. Simple and easy to use.